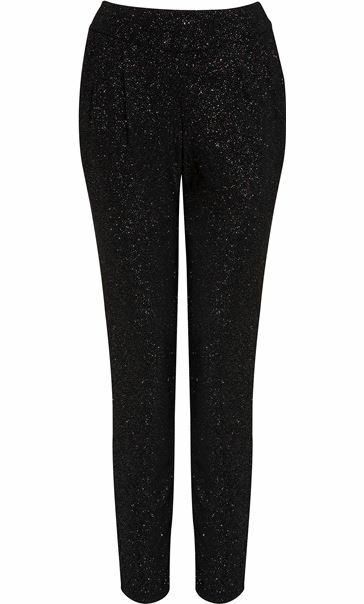 Add a high shine finish to your outfit with these black multi coloured sparkle tapered trousers. 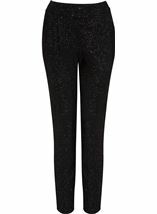 Crafted from a soft stretch fabric with a back elasticated waistband and side pockets, team with a plain top and heels for a glamorous look. Inside leg 74cms. 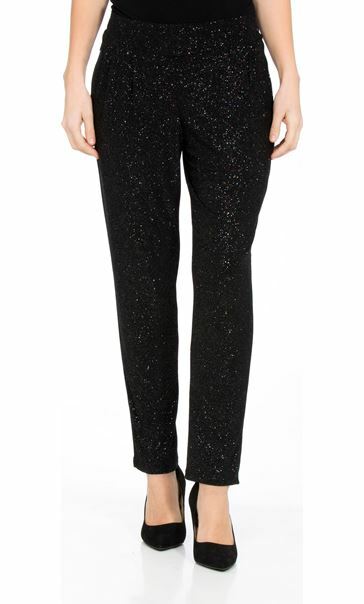 These are lovely trousers but the sizing of them is huge. I ordered my usual size and they literally slid off me. Sadly they will have to be returned. 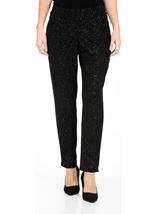 I wanted something for the party season and these are perfect! 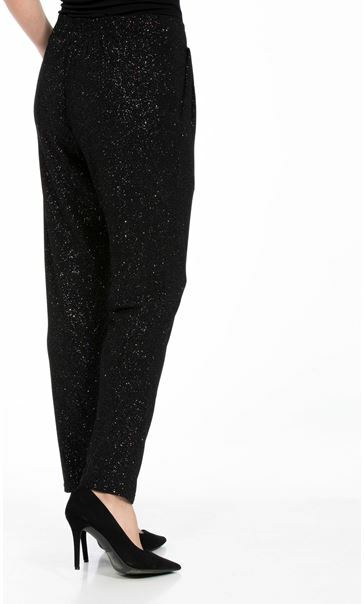 They are comfortable yet stylish, great value for money.Can't wait to wear them!